With many and diverse natural and man made disasters around the world the need for immediate and relevant support is paramount. 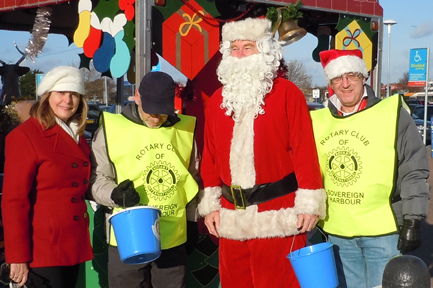 The Rotary Box schemes are now one of the first on the scene. As part of our regular meetings we have guest speakers providing entertaining or informative talks on a variety of subjects. 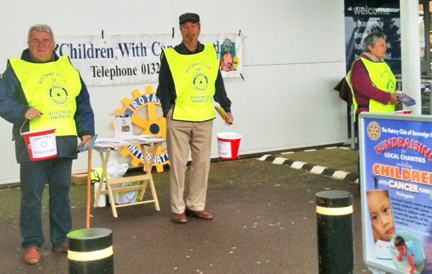 Our club helped Hailsham Rotary with their annual fundraising event in front of Tesco's on 4th December, 2012. 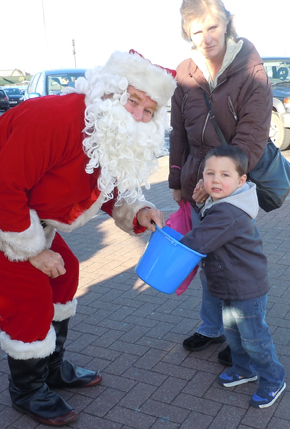 Santa enjoyed meeting children and handing out chocolate money. Left: Pam Jones, Peter Thomas, Tom Jones and Gordon Jenkins. 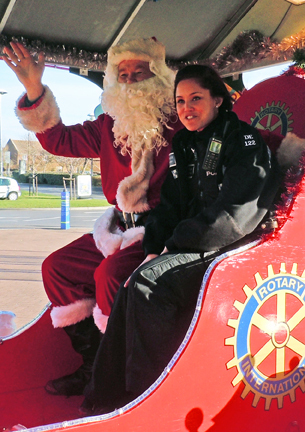 Local police officer joined in the fun. 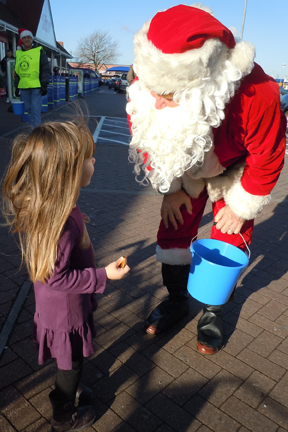 Many of our members helped a local Rotary Club by handing out flyers in the Arndale Centre on 28th November for the Tree of Light. The memorial service was held at the Congress Theatre on Sunday 2nd December. Left: Sandra Mills and Peter Thomas. Right: David Elkin, Peter Thomas and Tom Jones. Left to right: Malcom Nevins, Tom Jones and Pat Nevins. Sue Coghlin, Sandra Mills and Don Perman. Sue Coghlin and Pam Jones. 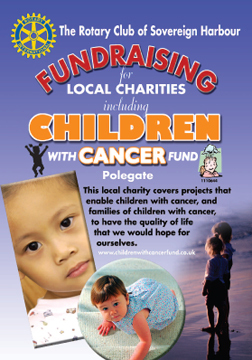 Pam Jones has designed the promotional flyers and posters for this year's local charity, Children With Cancer Fund. 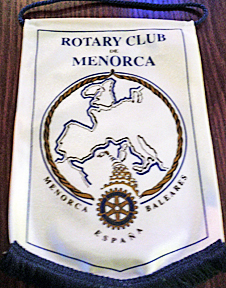 David Phillips attended a Rotary meeting on the island of Menorca and they send greetings to us and presented David with a club pennant. 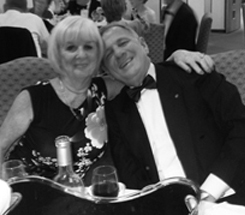 Members welcomed Stewart and Shelia Grainger to the club meeting on Tuesday, 30th October, 2012. 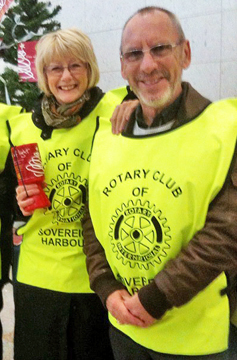 Stewart is the District Governor for our area Rotary International District. 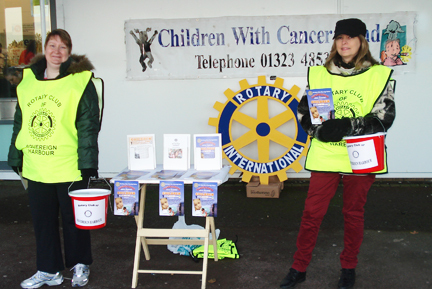 He offered information on the charities that Rotary International supports through the Rotary Foundation and his life experiences witnessing the results from our fundraising efforts. 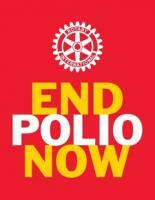 Friendship and helping others less fortunate are the key reasons why Rotarians are recognised and respected worldwide. 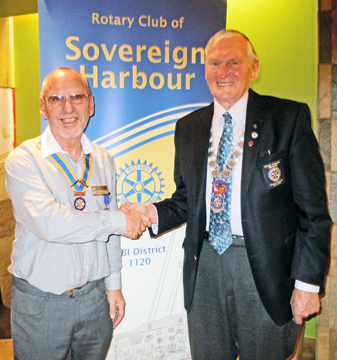 Peter Thomas, President (left) and Stewart Grainger, District Governor. 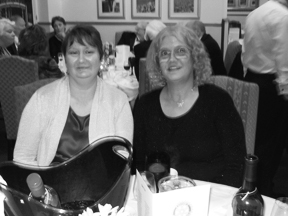 Sue Coghlin and Marlene Dymore. 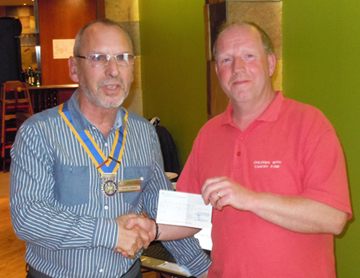 President, Peter Thomas (left), presents Chris Downton with a cheque for ï¿½1000.00. 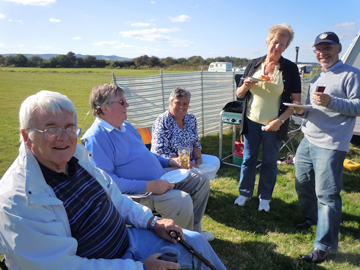 Club members recently spent a beautiful afternoon at a caravan park in Pevensey. 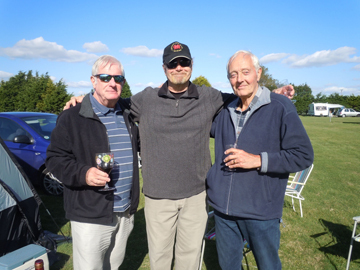 Anne Hardy hosted the event and everyone enjoyed the food, camaraderie and the strange game of cricket/baseball combo! Left to right: Malcolm Nevins, Jim Hull, Pat Nevins, Anne Hardy and Peter Thomas. Left to right: David Phillips, Tom Jones and Don Perman. On Tuesday, 2nd October, 2012 David Phillips became a member of the club. 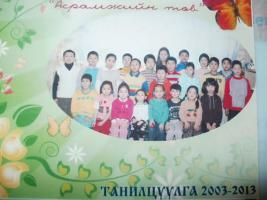 David has attended a few meetings and social events and looks forward to participating in club activities. Welcome David. 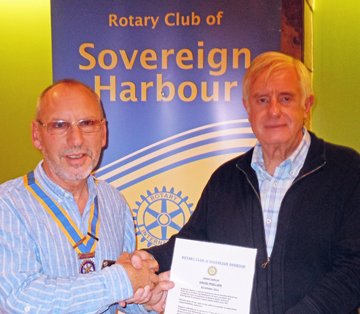 President, Peter Thomas (left), presents David Phillips with his Certificate of Induction. On Tuesday, 25th September, 2012, 14 members from the Rotary Club of Senlac joined us for a dinner and business meeting at the Simply Italian restaurant. 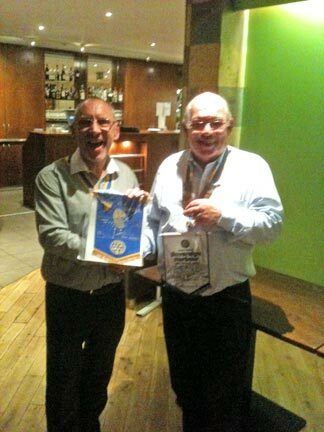 Senlac President, Bob Wren, exchanged club pennants. 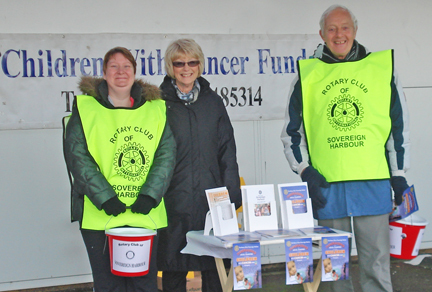 The principal charity for the Rotary year 2011-2012 was Guide Dogs For The Blind and the majority of the money was raised through the Sovereign Harbour Walk in April. 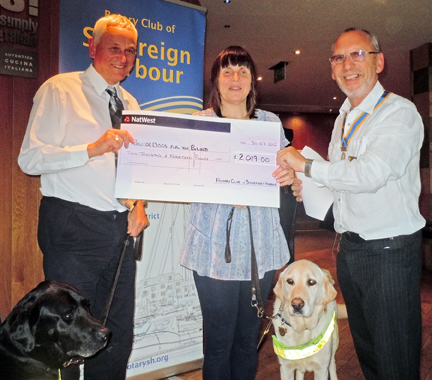 Guest Speaker Mike Ethiredge, and Alison Evans, were delighted to receive a cheque for ï¿½2019.00 at the meeting on 31st July, 2012.
with guide dogs Oscar and Austin. ï¿½500 for the Guide Dogs For The Blind. 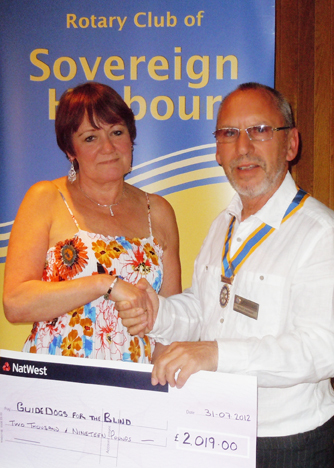 At the club meeting on 24th July, 2012, Gordon Jenkins and Peter Thomas presented a cheque for ï¿½1000.00 to Elizabeth Baxter for the St. Wilfrid's Hospice. 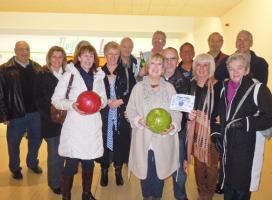 Elizabeth spoke about how they are campaigning to secure funds for the new hospice scheduled to open in November 2013. Campaign Hospice Outreach will help furnish and equip the new facility and also employ the additional staff needed to run the 20-bed inpatient unit. 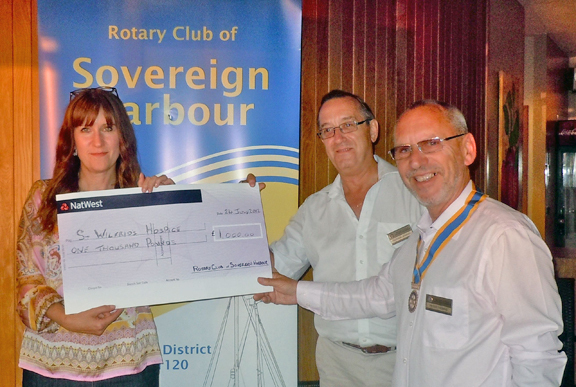 Elizabeth Baxter with Gordon Jenkins and Peter Thomas (right, President). 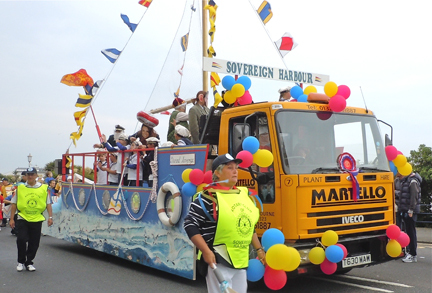 Congratulations to many of our "handy" rotarian members who helped to build the Sovereign Harbour float for the Eastbourne Carnival on the 2nd June, 2012. 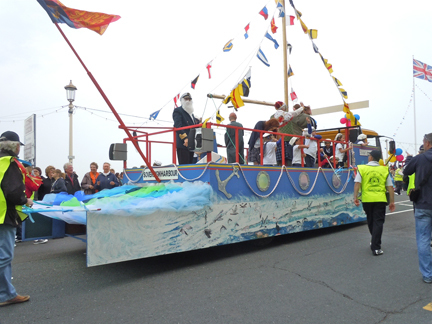 First Place award for the Diamond Jubilee theme. 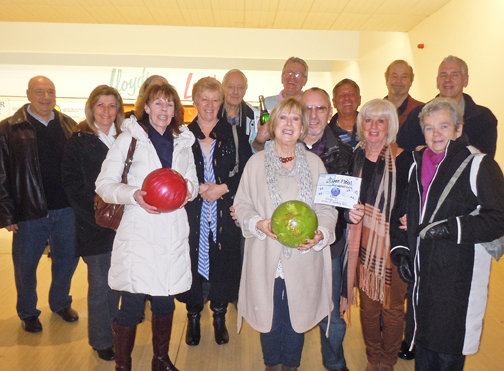 Members and their spouses formed four bowling teams for a fun evening in January 2012.